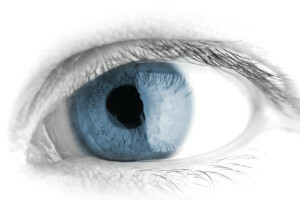 Keratoconus is a unique ophthalmic condition that occurs in about 1 in 500 or one in 2,000 people. The condition is unique not because it is a degenerative disorder but because it actually changes the shape of the eyeball. Affected ophthalmology patients suffer physical and structural changes in the eyeball resulting in a conical eyeball that is drastically different from the conventional round shape. Keratoconus is a corneal collagen disease that progresses with an irregular steepening of the corneal shape accompanied by a loss of corrected vision. Advanced, it passes the point where the irregular corneal shape can be fit with a contact lens.Despite extensive research into the topic, the exact etiology and progression of this ophthalmology disease is not understood clearly. However, whatever the pathogenicity of the condition, corneal crosslinking treatment with riboflavin has proved to be incredibly effective in vision correction of keratoconus. Corneal cross-linking treatment was first developed in Germany in 1998. Human clinical testing of the procedure started immediately but the most effective trials began in 2003 in Dresden and they did produce very interesting results. The initial pilot studies on 16 patients produced good results. The actual procedure was based on the research of Wollensack, Spoerl and Seiler that stated that collagen cross-linking causes corneal stiffening and this could slow the vision correction process of corneal keratoconus.Cornea cross-linking is known throughout the medical community for its overwhelmingly successful results. However, the procedure is still not fully approved by the FDA as there are more than 36 studies being carried out regarding the safety, efficacy and long-term results of the procedure. In 2011, the FDA was supposed to approve the procedure but this has not yet happened. When additional data becomes available, cornea specialist doctors are expecting the procedure to be available to the public almost immediately. Although the vision correction hype around the ophthalmologist procedure is considerable, the actual hypothesis is very simple. Riboflavin and UV light work together to increase the amount of collage fibrils in the cornea. These fibrils can then stabilize or slow down the deformation of the anterior eyeball resulting in a slowing down of the pathology. The cornea, itself, consists of a huge amount of collage fibrils that are connected with strong chemical bonds. However as the eye ages, these fibrils undergo oxidative deamination due to which patients naturally experience a decline in their eyesight.The proteoglycans found in the collagen lamellae are responsible for forming the cross links and this 3D arrangement is also responsible for corneal resistance to disease and degeneration. Keratoconus seems to affect the cornea by producing enzyme changes, decreasing the corneal thickness and altering the collagen lamellae present in the corneal stroma. The corneal cross-linking treatment procedure tries to slow down or stop the collagen degradation process by increasing the cross linking in the cornea. Cornea specialist Dr. John Goosey in Houston, Texas is a world renowned corneal surgeon who has achieved amazing success with corneal cross-linking treatment.